The Texas Centennial Exposition offered this as a contemporary model home in 1936. The International style is also apparent in this home with its corner windows. 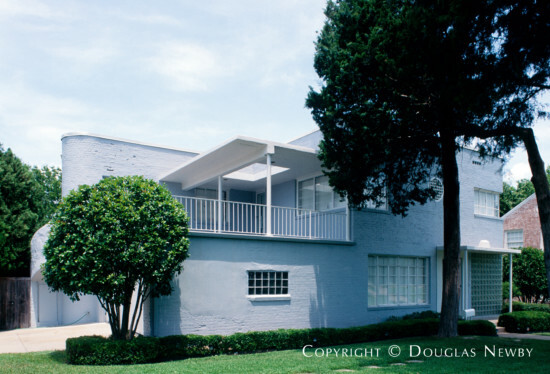 The flat roof with a pronounced ledge at the roofline and flat balcony are also Art Moderne features. It was moved to 6851 Gaston after the Fair.